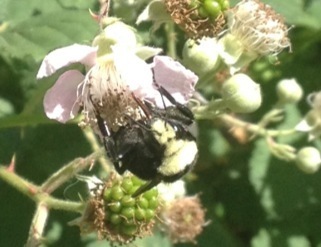 A bumble bee enjoying wild blackberry blossoms in our backyard. Updated September 7 for the Buzz on Bees and Making Your Garden Count Blog Carnival. Last winter, American beekeepers lost over 40% of their hives. Some farmers lost 90-100% of their bees. The USDA recently opined that we are "one poor weather event or high winter been loss away from a pollination disaster." What does a pollination disaster look like though? Bees pollinate about 1/3 of the crops we eat and drink. Without enough bees or other pollinators, there wouldn't be enough food. Not enough almonds or apples. Far fewer blueberries and oranges. Most of the conversation surrounds honeybees but it is not just those insects which are in trouble. Our native bees and other pollinators, including wasps, hummingbirds, flies, butterflies and moths) "are also in great trouble due to habitat loss, pesticides and other actions by humans." A pollination disaster and resulting food shortage will affect all of us - not just gardeners or farmers. Everyone who likes to eat will be impacted by shortage of certain crops and/or sky high prices. So what is a food-eating person supposed to do? The sign at the entrance to our back garden. 1) Don't Use Pesticides: Pesticides are a trigger for the dramatic demise of pollinators. One class of pesticides - neonicotinoids - have been in the news lately as being particularly deadly to bees, other pollinators, birds and aquatic life. This class of pesticides is so deadly that the American Bird Conservancy ("ABC") claims it has the potential to impact entire food chains. ABC commissioned a study which found that a single kernel of corn coated with neonicotinoids can kill a songbird and are water sources are already beyond the threshold found to kill many aquatic invertebrates. Moreover, this pesticide was responsible for the death of 50,000 bumblebees in an Oregon Target parking lot. The bad news on neonics just keeps on coming though: A study recently found that 58% of Home Depot, Orchard Supply and Lowe's "bee-friendly" plants are pre-treated with neonicotinoids. That's right! The plants you put in your garden to protect and nurture pollinators may actually be killing them. YES! This is a What The Heck moment! These plants are sold with no warning or label for the consumer and can contaminate your garden, harming pollinators for months or even years to come. Unfortunately, it is not simply neonicotinoids that are killing our pollinators. "There are hundreds of other chemicals used in conventional agriculture that are also responsible for poisoning bees." Herbicides and fungicides are responsible for negatively impacting bees and other pollinators as well as "regular" pesticides. The best thing to do is to stop using ALL pesticides, herbicides and fungicides. Research organic alternatives. Grow from seed or propagate, go to the small local nursery and buy organic plants. Get the beer out for the slugs. Employ white vinegar, boiling water, baking soda. And accept less than perfection in the garden. California poppy and blanket flower make for happy pollinators. 2) Buy Organic: In addition to not using pesticides at home, it is important to support those farmers who eschew pesticides when they grow our food. 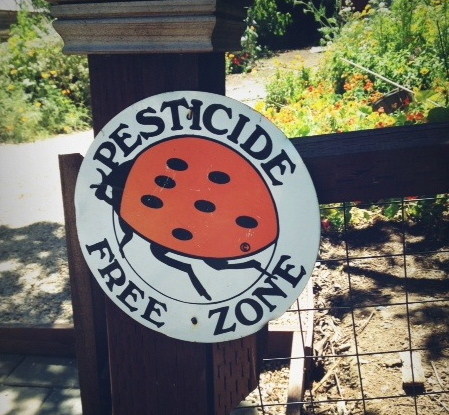 If you go to the farmers' market, ask if the farm uses pesticides. Many farms do not use pesticides but either cannot afford organic certification or are in the process of becoming "organic." While you are buying from your favorite farmer, buy flowers - if they offer them. The best farmers load their fields with flowers for healthy soil, pollinators and wildlife. Support their efforts and beautify your home. 3) Plant for Pollinators: Habitat destruction is another primary cause of the pollinator demise. What was once fields of wild flowers are now rows of neatly mowed lawns. Dead branches and entire trees used to stand - or fall - where they may. Now, we lop off branches, cut down trees, and grind them in to mulch. Most yards - including mine! - are filled with non-native and sometimes invasive species. I recently read, though, that "our wildlife gardens are the one of the last lines of defense to protect . . . native pollinators." 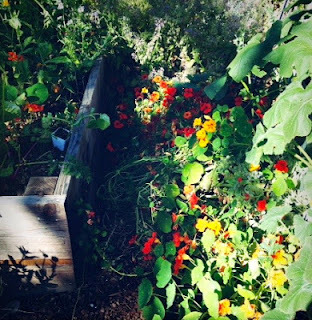 Nasturtium, borage and other pollinator friendly flowers in between raised beds increase pollination of your veggies and provide forage for pollinators. With that in mind, I decided to roll out the welcome mat to pollinators and other wildlife. Pollinators need three things: food, a place to live and water. Plant flowers and flowering plants to provide pollinators with the food they need. Natives are best - though times are desperate for pollinators and habitat is limited. 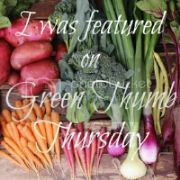 In light of the pesticide treated plants sold at Lowe's, Home Depot and Orchard Supply, I'd recommend growing from organic seed/propagating your own plants, exchanging plants with friends, buying starts at the farmers' market and either looking for organic plants or buying from a nursery that can assure you its plants are not pre-treated with pesticides. Also, look for plants that bloom in spring, summer and fall and go for a mix of perennials and annuals so that pollinators can forage almost year round. 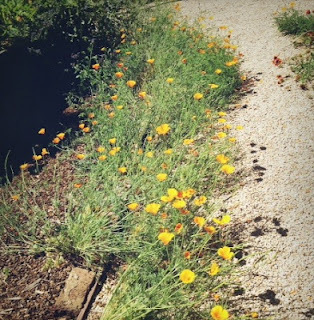 Native California poppies reseed themselves throughout our garden - to the delight of pollinators. Make a home for pollinators. A popular way is to build or buy a mason bee house. I haven't had much luck with my bee house but this site has some very promising - and fun - ideas. Create a brush pile and leave some ground bare (no mulch, no plastic!) for ground dwelling bees. Last, put up birdhouses. 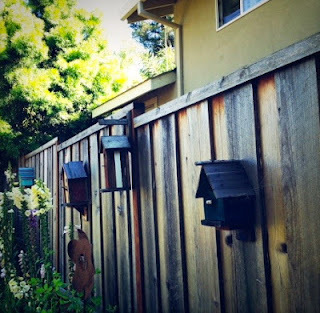 My wall of birdhouses. Some have been occupied by birds. Two are currently occupied by bumble bee colonies. You read that right! I've bought up every birdhouse I come across at garage and estate sales. Mostly because I like the look. Unfortunately, you cannot clean out a bird nest from of some birdhouses. No worries! Bumble bees will thank you for it. I currently have three birdhouses that are host to three different bumble bee colonies. I know I'm not alone. Check out this an article about a colony of bumbles in another birdhouse. A birdhouse with an abandoned bird's nest becomes home to a bumble bee colony and my veggie garden and fruit trees get pollination galore! Even pollinators get thirsty. 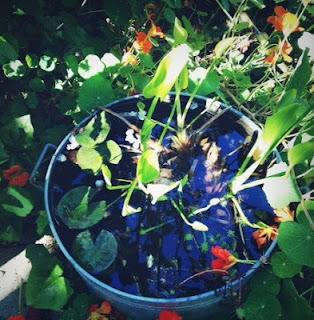 I have a small container water garden that has hosted many a bee on its lily pads but I'd like to put in a larger water garden later this year. Another option is to fill a saucer with wine corks or pebbles and water. My mini container water garden - the easiest garden I ever planted. 4) Speak Up for Our Food Supply: The European Union recently banned neonicotinoids, the deadly pesticide discussed above. In the United States, however, the EPA has decided on a wait and see approach - even though the USDA says that we do not have enough bees to pollinate America's crops. If you don't think wait and see is going to cut it, tell the EPA to immediately suspend the use of pesticides suspected to be responsible for large bee die-offs which scientists study the matter further. You can tell Congress to stand up for bees and other pollinators by supporting the Save America's Pollinators Act. Finally, let Home Depot and Lowe's, the nation's two biggest home care retailers, know that they need to stop selling neonicotinoids on their shelves and in their plants. Now that you know what to do, go forth and bee happy. Because pollinators and food are awesome! Don't forget to check out the bee carnival which goes live on September 9th. I love "accept less than perfection". Yes. Great links! Especially the Take Action ones. As you know from my tweets, I also am very worried about/ interested in the bees. I love bees! Not just for their pollination, but also for their delicious honey. I don't think I'll ever be able to feel warmly about wasps though (esp. since wasps kill bees).